The University of the Philippines College Admission Test (UPCAT) results for incoming freshmen of AY 2016-2017 was displayed online and can be viewed here. 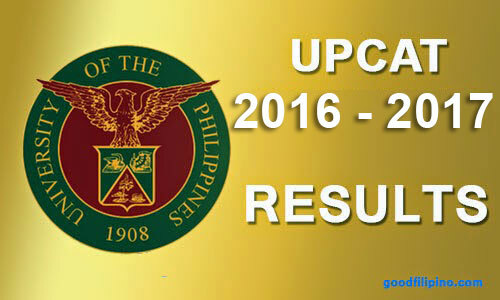 The UPCAT Results 2016 was last updated on December 17, 2015. The said exam was given in a multiple-choice format and had questions in Filipino and English. The subtests included Language Proficiency, Science, Mathematics and Reading Comprehension. Comments or suggestions about "UPCAT Results 2016 Online (AY 2016-2017)" is important to us, you may share it by using the comment box below.